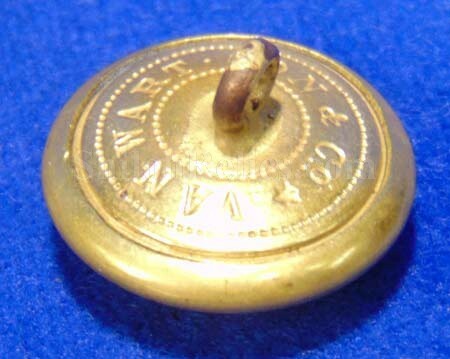 This is a beautiful non-excavated Civil War Confederate rifleman’s coat button. This is the style that was run through the blockade from the firm of Van Wart Sons of England. It would have been sold to well-to-do Southern riflemen. 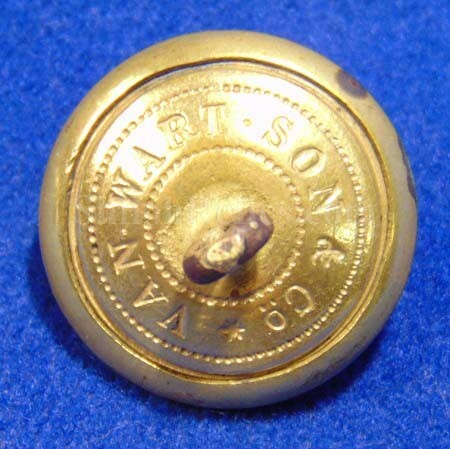 On the back of the button it has the clear "VAN WART SON & Co” backmark. The original shank is intact and in fine shape. 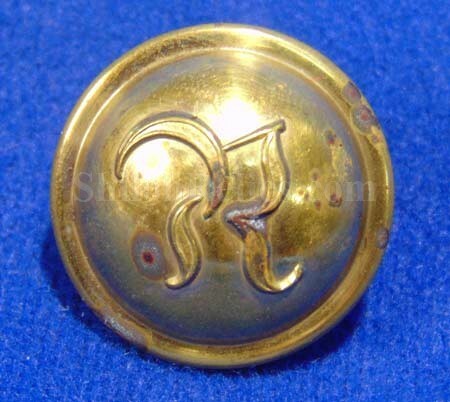 The face has a trace amount of the gold gilt remaining with the German style letter "R”. This version is illustrated as figure CS205 in Albert’s button book and CSR221a1 in Tice’s button book. This "R” denotes the rifleman branch of Confederate service. This is a beautiful button that would be a superb addition to any collection.